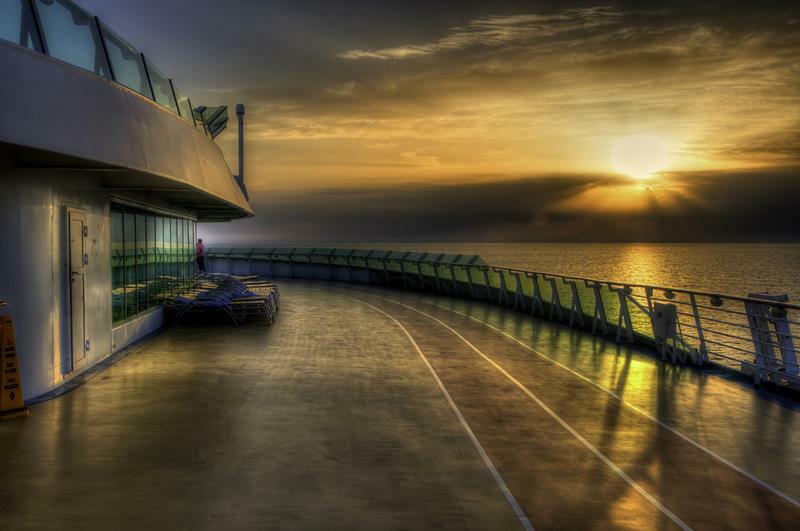 You’ve heard your friends talking about the Oasis of the Seas and the Anthem of the Seas, praising their size and their 21st century amenities. 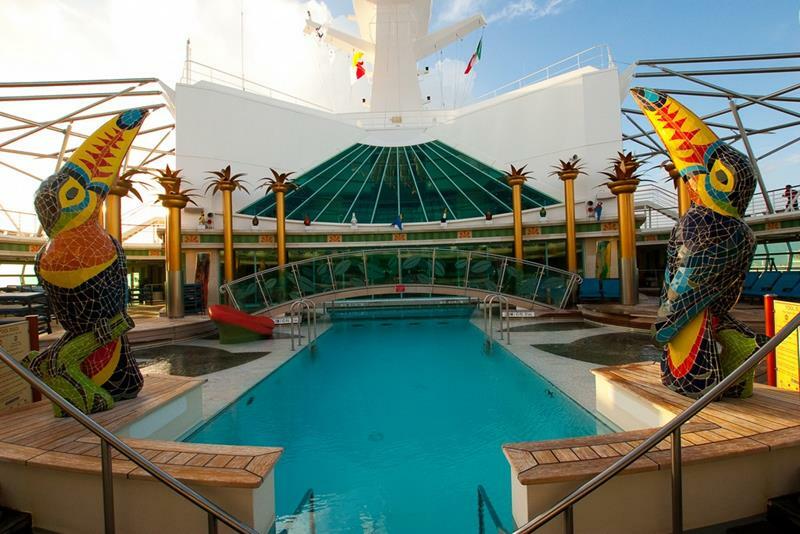 But did you know that you don’t necessarily need to book passage on one of those ships in order to have the best experience that Royal Caribbean offers? In fact, it’s quite the opposite. While the Oasis-class ships are plenty cool, the previous generation of ships (Freedom Class) are every bit as modern, fun and cool. 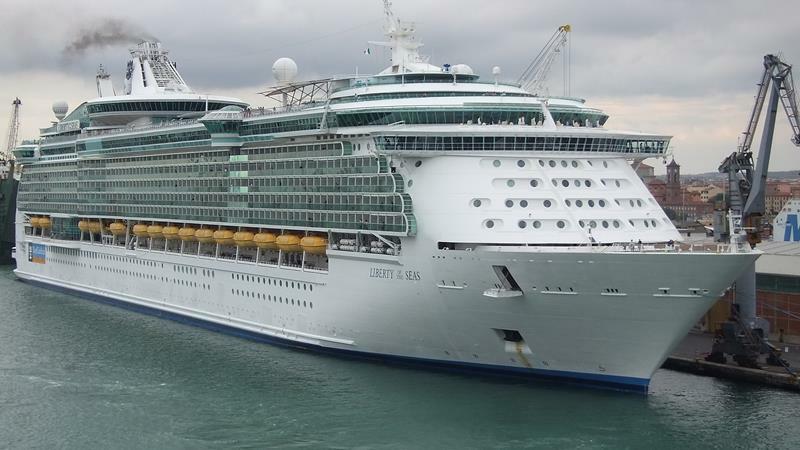 The Liberty of the Seas is one of those ships, and she received her first big upgrade only a few short years ago. Since then, she’s been ferrying passengers all over the world, offering each an unforgettable experience as the ship moves from port of call to port of call. If you ask any of those passengers, they’ll tell you: bigger doesn’t always mean better! 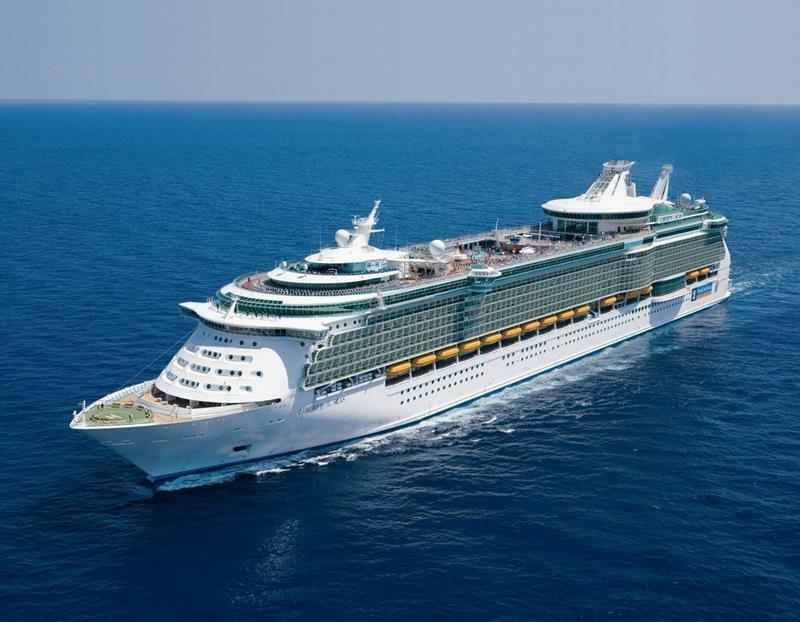 So, what is it that makes Liberty of the Seas one of the best cruise ships on the seas today, and why should you consider booking a trip aboard her? 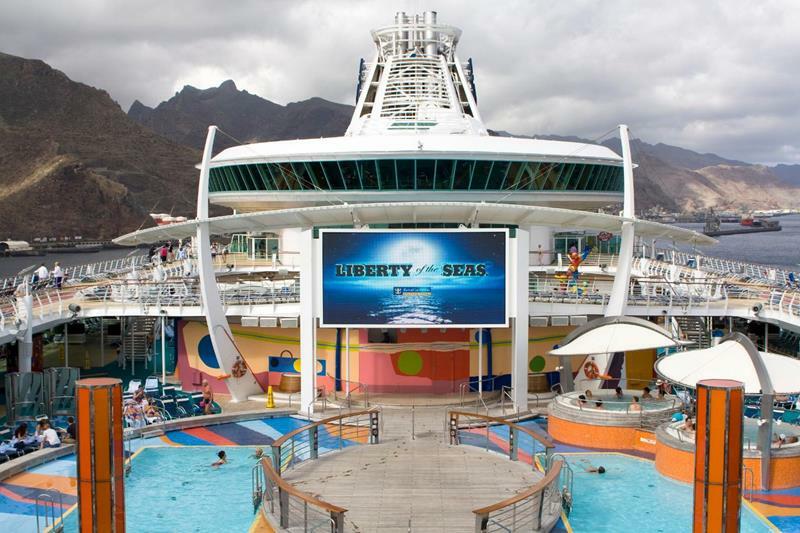 That’s exactly what we’re going to be exploring below as we take a look at 21 stunning photos of the Liberty of the Seas! 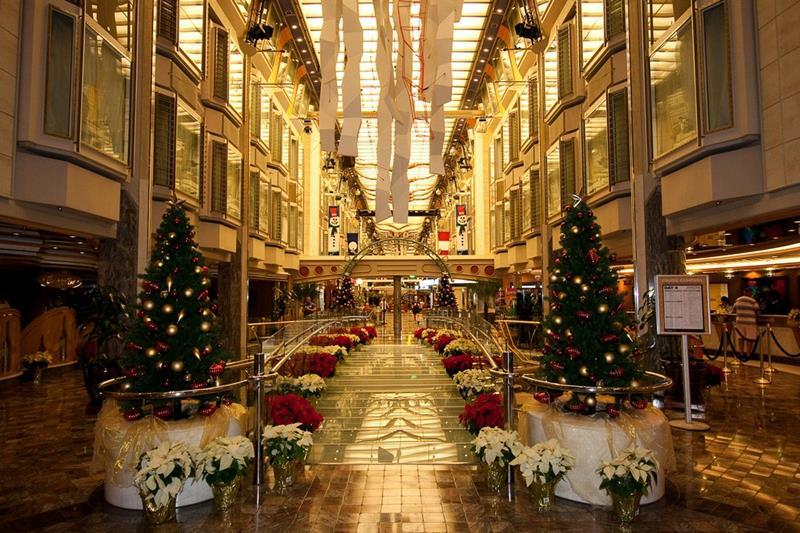 Haven’t entered service years ago, the Liberty of the Seas went through its last major renovation in 2011. 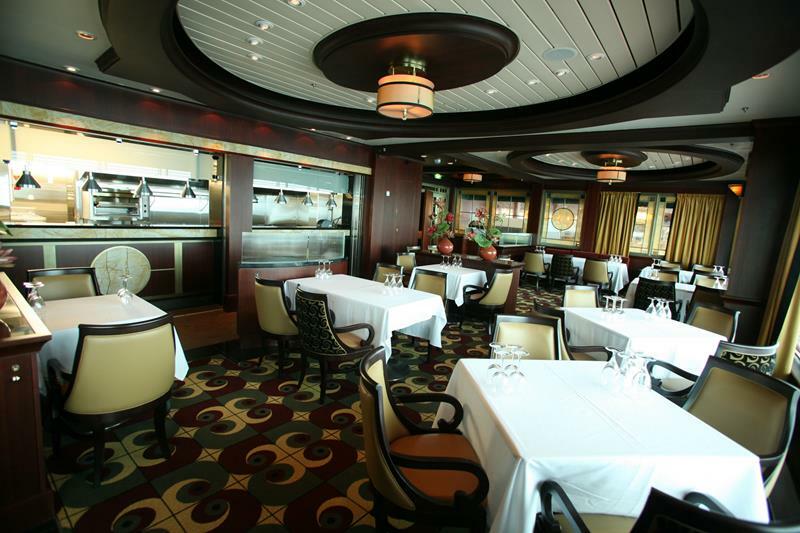 As with other ships in its class, the center for activity below deck is the Royal Promenade. 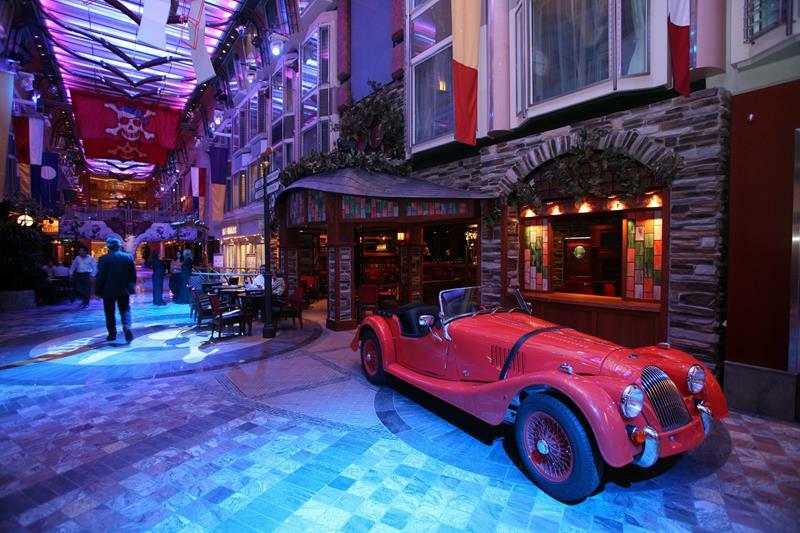 The class of ships that Liberty of the Seas belongs to is the Freedom Class, and one of this class’ hallmarks is the classic car you’ll find in the Royal Promenade. 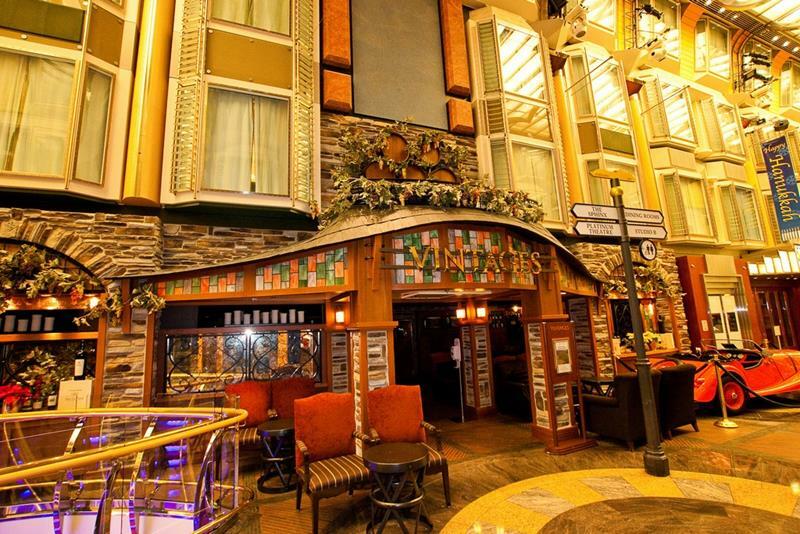 As you’re perusing the various shops and restaurants in the Royal Promenade, perhaps you’d fancy a glass of fine wine at Vintages? 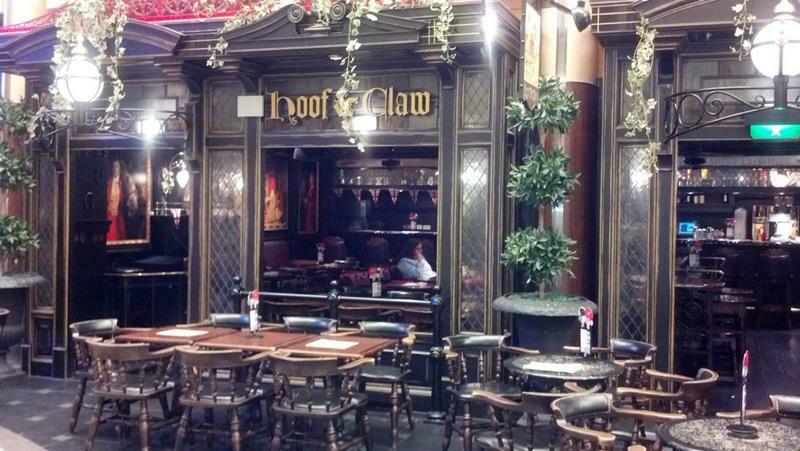 Or if fine wines aren’t your flavor, then perhaps you’d appreciate a cold brew, which is always on tap at the Hoof and Claw Pub. 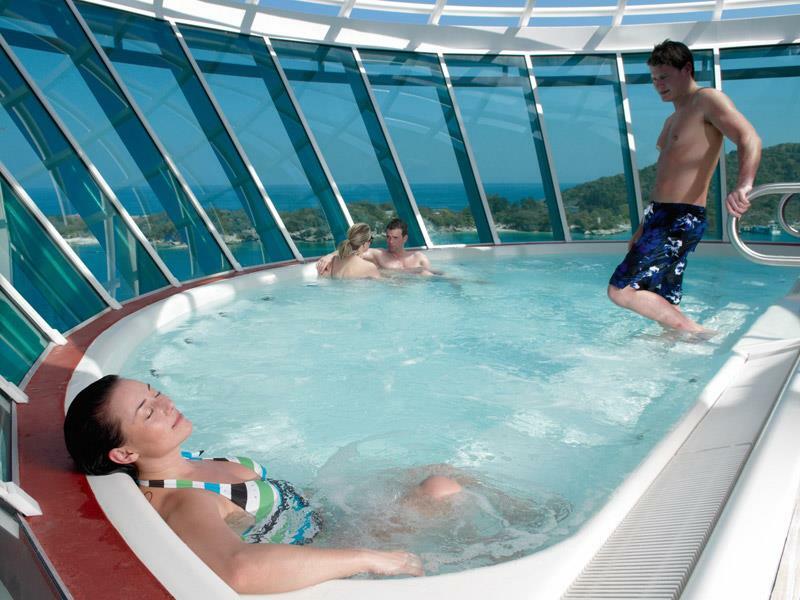 If you need a little adult-swim time, then the Solarium, which is all the way forward, is where you’ll want to head. 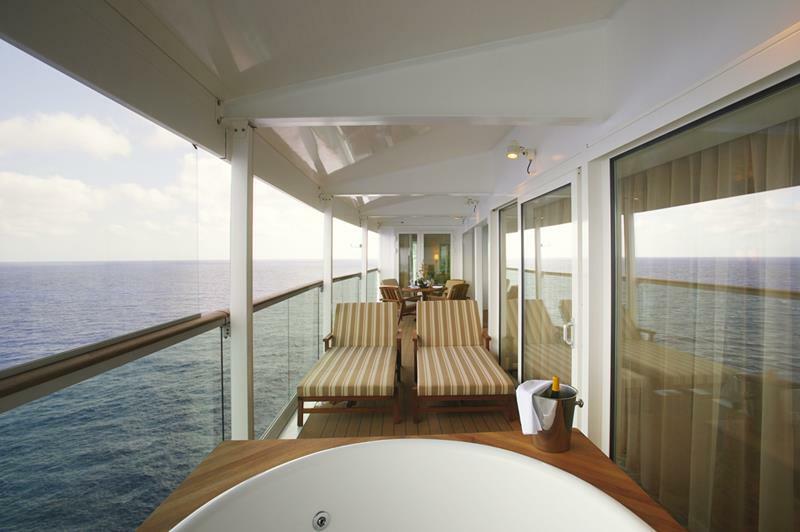 You’ll find another of the Freedom Class ships’ signature touches there; we’re talking, of course, about the cantilevered whirlpool tubs that offer breathtaking views. Of course, you’ll want to spend some time with the kiddos! If so, then head to the Main Pool area, where you’ll find a regular pool and a sports pool. 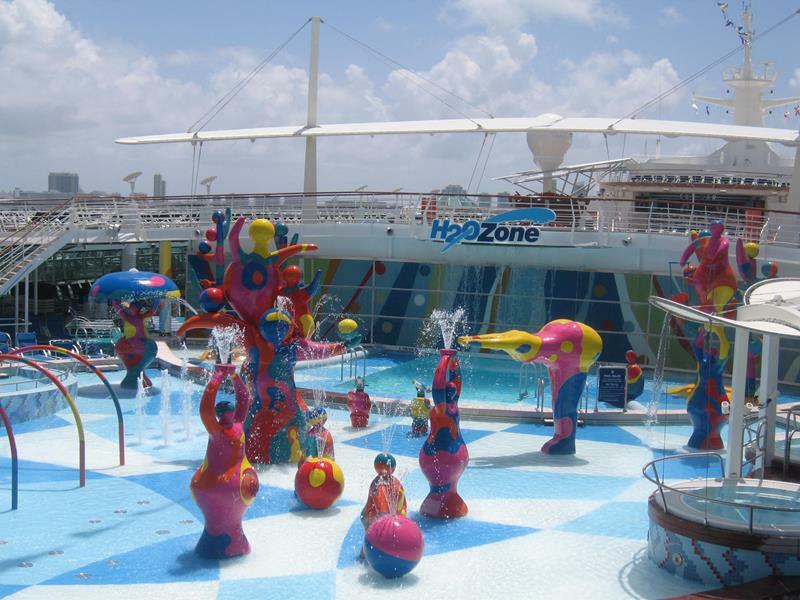 If you’ve got some wee ones that want to have a little fun in the water, then be sure to bring them over the H2O Zone! Looking to try something different and to stay active? 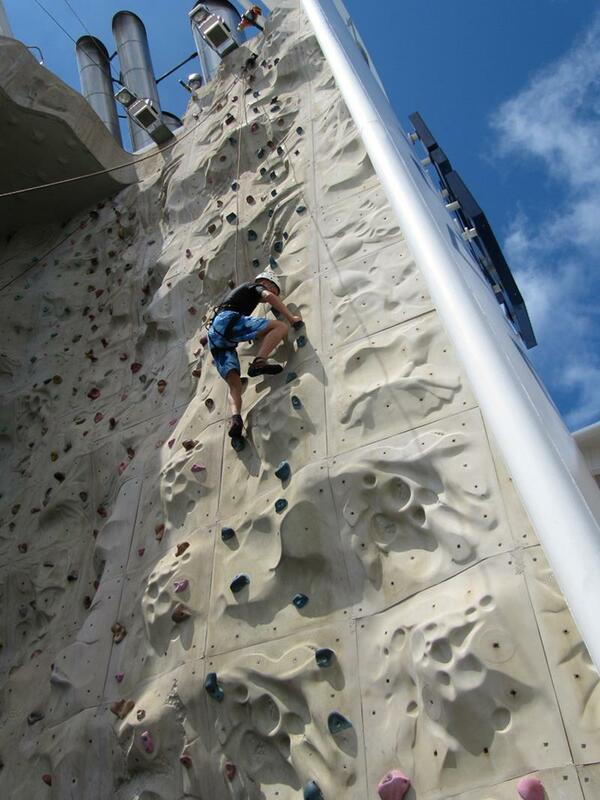 Then we recommend taking the ship’s own rock climbing wall for a spin! Of course, you may not want to do that! 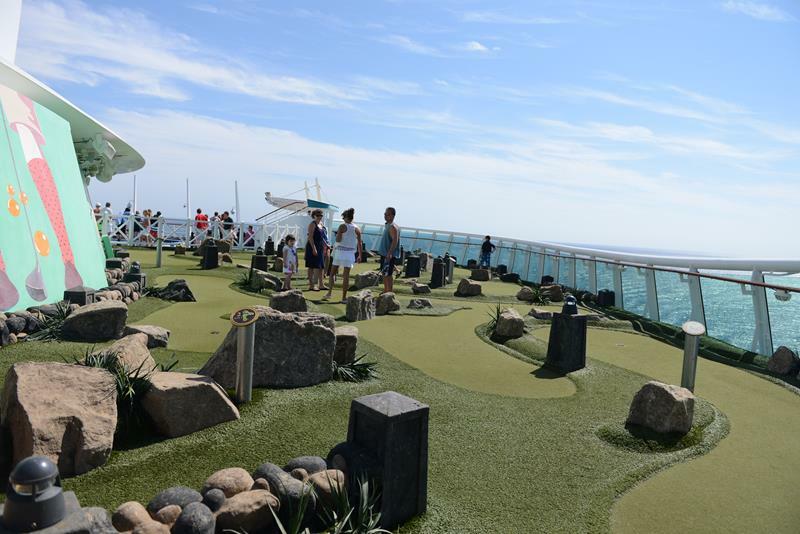 If that’s the case, then you’re sure to find the 9-hole mini golf course, called Liberty Dunes, plenty entertaining! Always wanted to try surfing but are afraid of sharks? 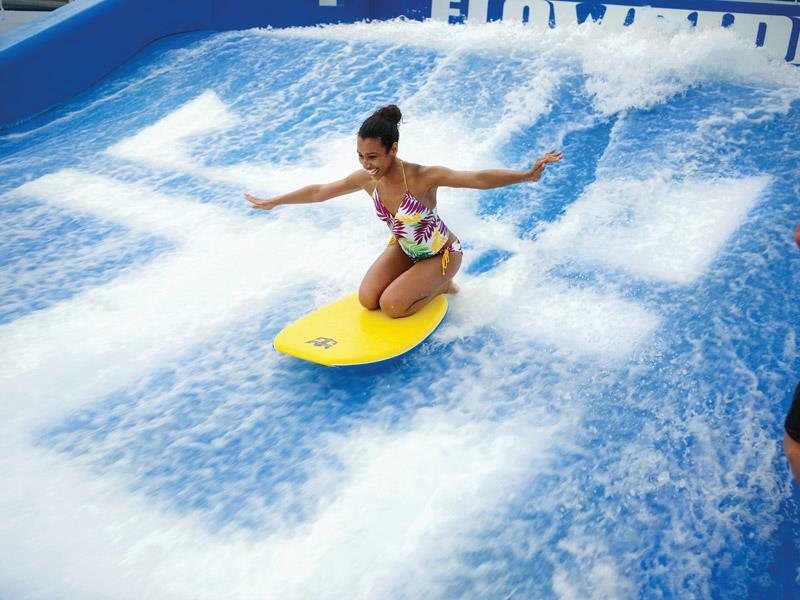 Well, Flow Rider can give you the experience without all the chomps. Hey, you’re on vacation to relax, right? Well then why not book a treatment at the beautiful Liberty Day Spa? All that activity must have worked up an appetite? 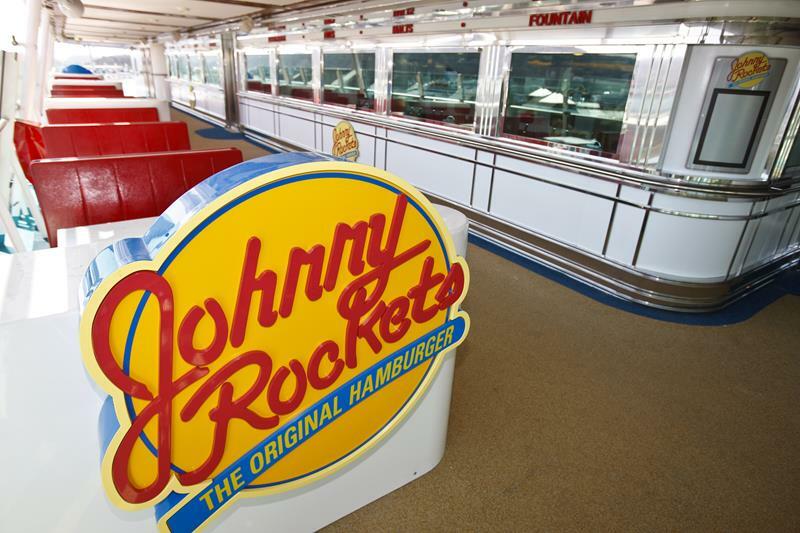 Perhaps you might enjoy the fun dining atmosphere that Johnny Rockets provides? Or, if you’re looking for a generously portioned sit-down meal, then Chops Grille is serving up some juicy steaks! 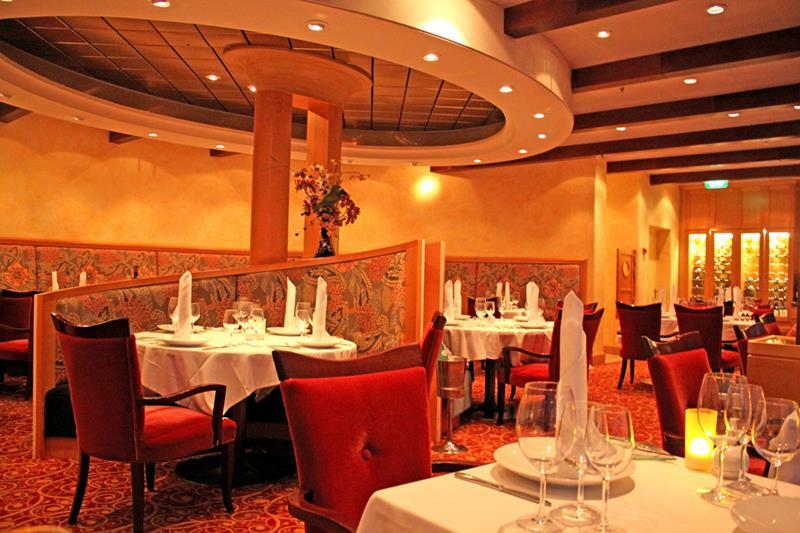 Who can say no to a delicious plate of Italian food? No one. That’s why a visit to Portofino is a virtual must on your journey. Got a sweet tooth? 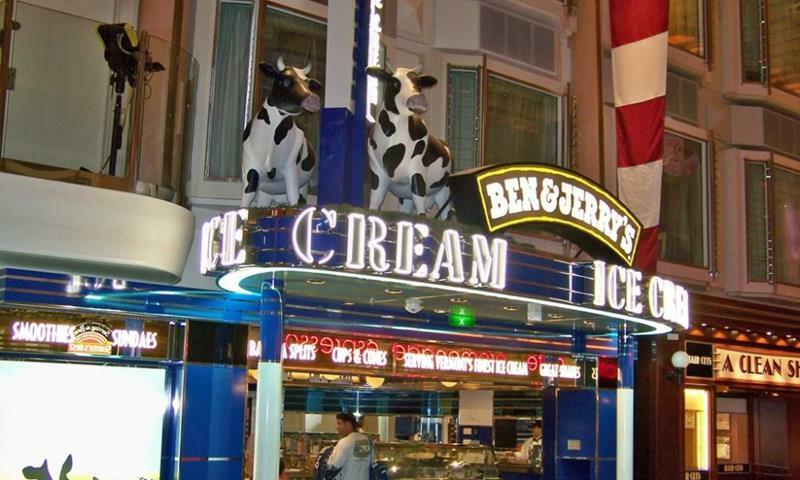 Then you’ll be happy to learn that Liberty of the Seas is home to one of the few Ben & Jerry’s on the open oceans. It’s located in the Royal Promenade. When you want some first-rate entertainment, head over to the Platinum Theater to see a Broadway-style production! 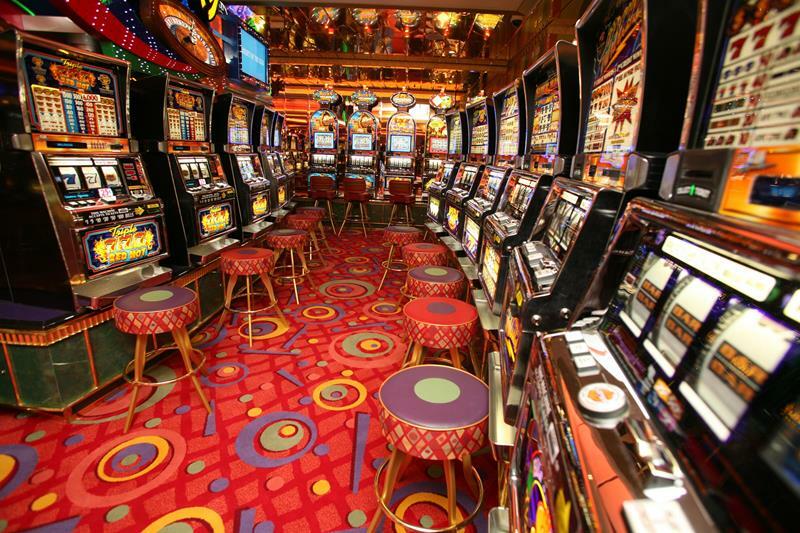 For those that need a little risk with their entertainment, the ship’s on board casino offers slots and table games. 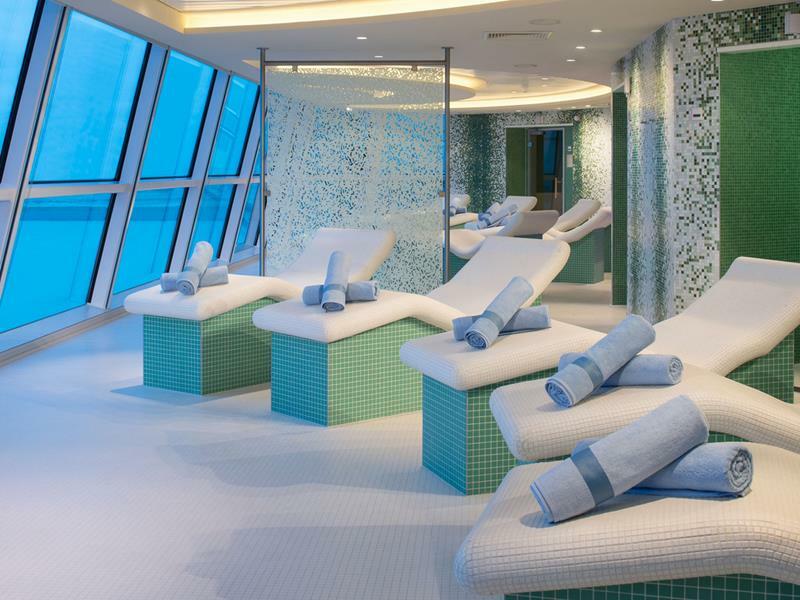 The staterooms and suites aboard the Liberty of the Seas are great, but if you want the best, then you have to book the 1,400-square-foot Royal Suite. This wonderful ship has been in service for many years, and it’s sure to be in service for many years to come. Maybe it’s time you gave it a shot?